I feel like this every time I read – alone in my own world, but surrounded by ‘friends’. 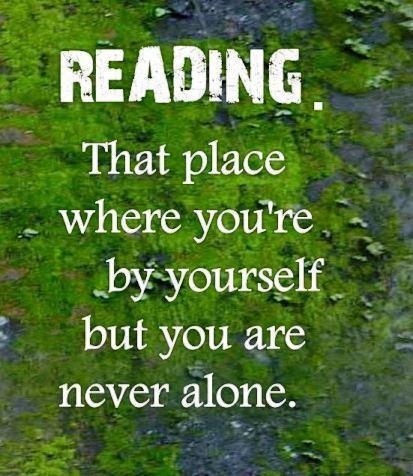 This quote amused me – for the fact that I live in a town called Reading (pronounced red-ing), so it took on a new meaning. In reference to books, I totally agree that when one opens a book (especially a well-written book), one enters into the lives of a whole new bunch of people, ready to meet them and learn of their lives.